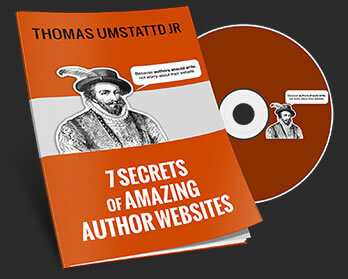 Home » Blog » If You Write Two Different Kinds of Books, Do You Need Two Different Websites? Creating one new website was daunting enough. But two new sites, mere months apart? While I wrote two books and traveled constantly? Only a crazy person would attempt such a thing. I definitely qualify. Even so, Author Media made it happen. And they made the process fun. My historical fiction readers are a different breed from my nonfiction/Bible study readers. Of course, there’s some overlap, but over the years, when women have signed up for my quarterly newsletters and shared what books of mine they’ve read, it’s invariably been all my Bad Girls of the Bible series or my Scottish historical fiction—not both. So, it seemed wise to create two different online presences. I have a separate Facebook page for each one and two Twitter accounts as well. Identify each distinct audience and how best to reach them. I started with my Facebook page stats. Since I write for and speak to women, the FB breakdown is 95% female, 5% male. No surprise there. As for their age span, 66% of my followers (and readers) fall in the 25-54 bracket. When I told my FB followers I was working on a new website, and asked them what words they might use to describe my nonfiction writing and speaking, their 300+ responses provided great direction for my Author Media designer, and gave me a clearer understanding of how my audience perceives me. Sometimes it is easier to identify what you don’t want, and in the process figure out what you do want. For me, I didn’t want something that looked cluttered. I didn’t want ads. I didn’t want it to look like a corporate or business site. I didn’t want long, wordy content [oops, never mind that bit!]. I didn’t want to look like I’m a celebrity, which meant any praise needed to come from others. I also didn’t want family info or photos—just enough personal stuff to assure my readers I’m a real person with a real life outside of speaking and writing, yet without invading my family’s privacy. Here’s the finished product, if you want to check it out: http://www.LizCurtisHiggs.com. If you write two different kinds of books, do you need two different websites? – Click to tweet. Liz Curtis Higgs answers one of the toughest questions writer’s face in blogging. – Click to tweet. Liz Curtis Higgs has TWO websites. Here’s why. – Click to tweet. Do you need two different websites? You might. – Click to tweet. I thought I had trouble keeping up with one site. Liz Curtis Higgs has TWO. – Click to tweet. Get a free website consultation from Author Media. I’m going to! – Click to tweet. Finding content for the second site was easy enough. I’ve been to Scotland a bunch of times to do research for my historical novels, so it seemed the right place to share photos, discoveries, and interesting bits about bonny Scotland, as well as point readers to the books I’ve set there. Sifting through thousands of photos took longer than expected, and choosing quotes from my books to use for captions was a time hog too, but I’m happy with the results. See what you think: http://www.MyScottishHeart.com. You’ll notice that I’m not a very consistent blogger on MyScottishHeart. Though I have 30+ solid ideas for blogs waiting to be fleshed out, finding the time to write them has been a challenge, especially with a long (1,500-2,000 word) weekly post on my other blog. If I were starting a new website today, I’d have 10-15 blogs already written before I went live with the site, just to establish a consistent pattern from the start. I had the same problem on LizCurtisHiggs.com, until I chose a definite focus for my blog—namely, a Bible study. Once I announced that first 12-week series, promoted it widely, and posted consistently every Wednesday, my blog followers went from 600 to 2,400 in 3 months, then to 4,500 in another 3 months. I’m encouraged by the growth and am convinced that focusing on something I’m truly passionate about has been the key. Kudos to Hannah Hill at Author Media for guiding me through the website building process. Both sites are easy for me to update and easy for people to navigate. My business card is two-sided, so I can invite anyone I meet to stop by the site that suits his or her interests best. Ready to get a new (or two!) professional author websites? Author Media can help. Just request a consultation to begin the journey. Do you write two different kind of genres? How do you manage the gap?